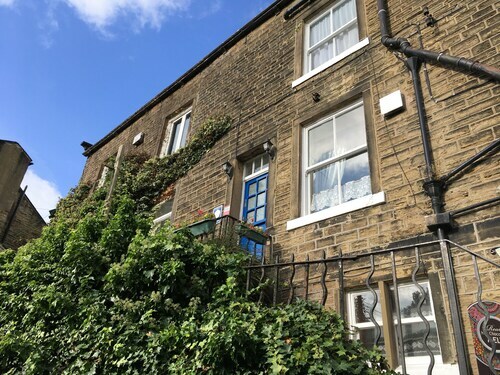 Situated in Holmfirth, this cottage is within 9 mi (15 km) of North Light Gallery, John Smith's Stadium, and Castle Hill. Beaumont Park and Grosvenor Casino Huddersfield are also within 9 mi (15 km). Situated in Holmfirth, this cottage is within 9 mi (15 km) of North Light Gallery, Peak District National Park, and John Smith's Stadium. Castle Hill and Grosvenor Casino Huddersfield are also within 9 mi (15 km). 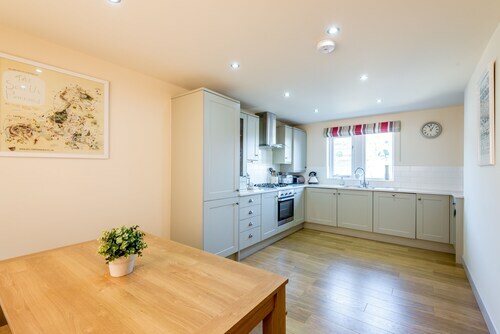 Located in a rural location, this family-friendly property is within 9 mi (15 km) of North Light Gallery, Peak District National Park, and Castle Hill. Beaumont Park and Greenhead Park are also within 9 mi (15 km). 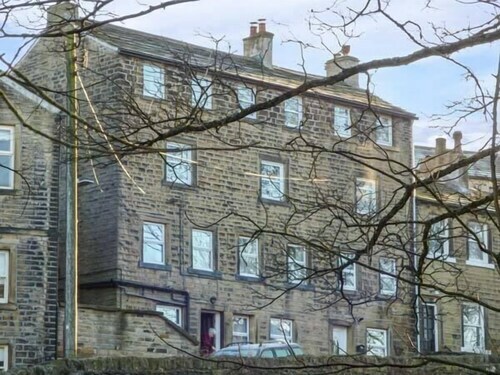 Situated in Holmfirth, this guesthouse is within 9 mi (15 km) of North Light Gallery, Peak District National Park, and John Smith's Stadium. Castle Hill and Grosvenor Casino Huddersfield are also within 9 mi (15 km). 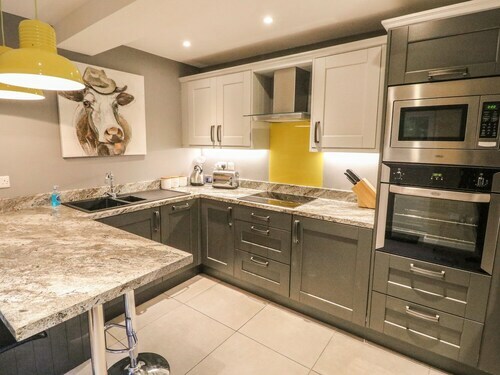 Situated in Holmfirth, this golf cottage is within 6 mi (10 km) of North Light Gallery, Castle Hill, and Woodsome Hall Golf Club. John Smith's Stadium and Grosvenor Casino Huddersfield are also within 9 mi (15 km). 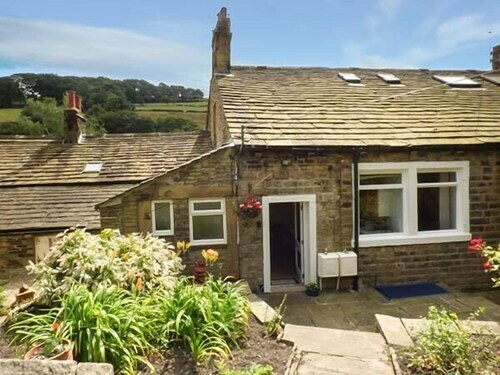 Situated in Holmfirth, this cottage is within 6 mi (10 km) of North Light Gallery, Castle Hill, and Beaumont Park. Peak District National Park and John Smith's Stadium are also within 9 mi (15 km). 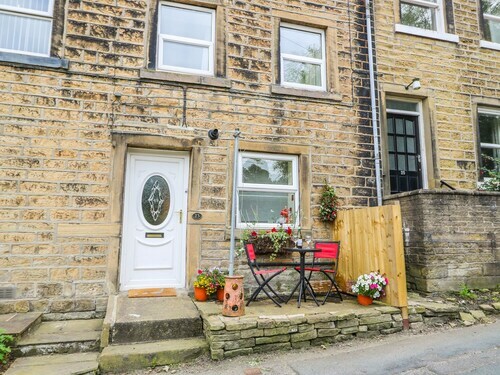 Situated in Holmfirth, this cottage is within 6 mi (10 km) of North Light Gallery, Castle Hill, and Beaumont Park. Woodsome Hall Golf Club and Grosvenor Casino Huddersfield are also within 6 mi (10 km). Situated in a rural location, this vacation home is within 6 mi (10 km) of North Light Gallery, Castle Hill, and Beaumont Park. Grosvenor Casino Huddersfield and Woodsome Hall Golf Club are also within 6 mi (10 km). Holmfirth Vineyard is a superb place to visit if you're interested in some fun just for the adults. To reach it, stop at the marvelous city of Manchester before continuing on to Peak District, about 20 miles (32 kilometers) away. Booking a hotel nearby shouldn't be too difficult, with 4 options to pick from. 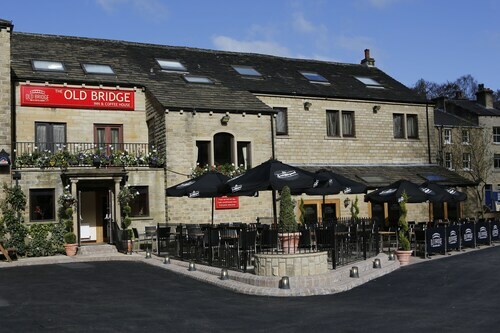 Within 2 miles (3 kilometers) of Holmfirth Vineyard you will find The Old Bridge Inn and The Rooms at the Nook. Not too far away, you'll find several very affordable accommodations ideal for making your travel allowance go further. 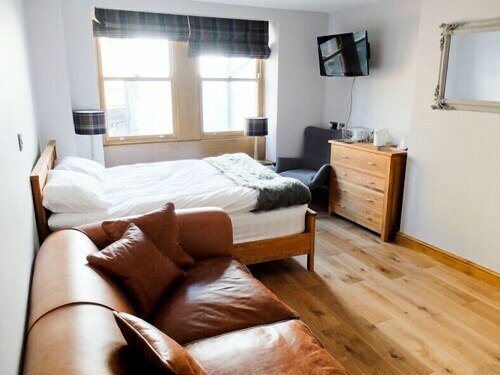 The Durker Roods Hotel and the Red Lion Inn are worth a shot. You definitely deserve some time at one of the high-end hotels in the area. 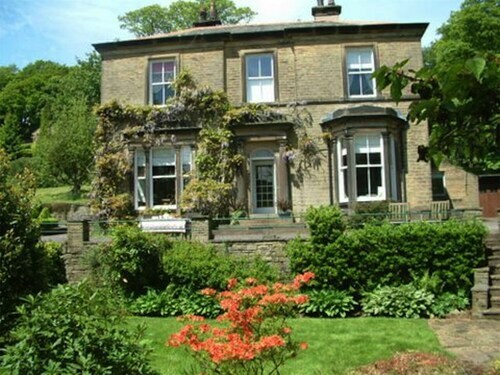 The Dog & Partridge and Holmfirth Vineyard are solid choices that you should consider. After your excursion to Holmfirth Vineyard, take a leisurely stroll to Coddy's Farm for a snack, a caffeine hit or a cold beverage. 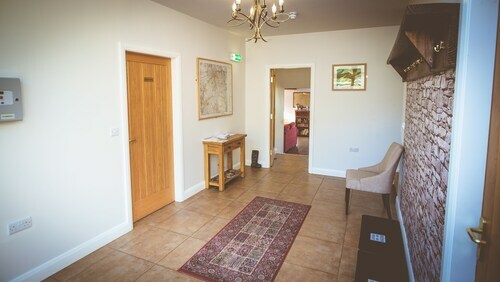 If you prefer to eat food that's more fulfilling, Holmfirth Vineyard, Accommodation & Restaurant is also in the neighborhood. Continue walking and while away the final hours of the day sampling the wine and beer at The Bridge. Enjoy your choice of music shows and artistic events regularly hosted by North Light Gallery and become more knowledgeable about the local arts scene. An important historical location, Castle Hill is a place worth visiting to get a feel for the past. Give the kids a chance to burn off a bit of their apparently limitless energy when they're running around at Beaumont Park, a green, leafy getaway within the city. Enjoy beautiful scenery and appreciate nature at Peak District National Park. Take a seat at a table at Grosvenor Casino Huddersfield if you enjoy showiness and the anticipation when the dice are rolled. How Much is a Hotel Room in Holmfirth Vineyard? Hotels in Holmfirth Vineyard start at $65 per night. Prices and availability subject to change. Additional terms may apply.